Pack your lawn chair, beach blanket and cooler because festival season is here. Between exploring the city’s sporting, cultural and foodie events, make time to head out on a road trip to creative and unique festivals across the province. Celebrating our local talent and having a blast while doing it is what’s hot this week! Peanuts, crackerjacks – you know the drill. Show your hometown pride as the Winnipeg Goldeyes take on the Sioux Falls Canaries at the June 2 Home Opener. Watch the boys hit it out of the park and stick around for the post-game fireworks. Summer just wouldn’t be complete without a ball game! Winnipeg’s food scene is more diverse than you think. Head out on one of four tours in the Exchange District for a gourmet experience that will most definitely inspire your taste buds. Sip on ale at Winnipeg’s hottest downtown pubs and find out why Winnipeg was once named the “Wickedest City in the Dominion”, or discover Winnipeg’s very own Little South America district. Don’t forget to bring your appetite. 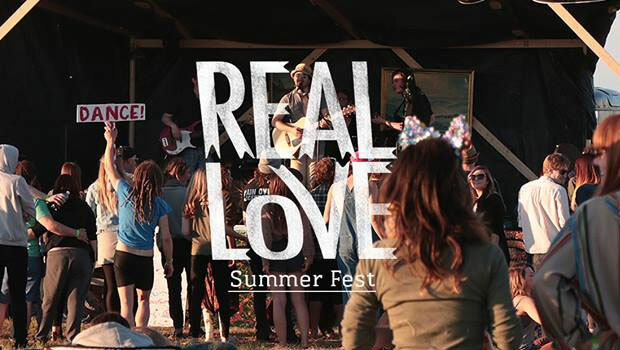 The second annual Real Love Summer Fest kicks off this weekend! A festival for all, this 3 day event is dedicated to celebrating creativity, art, love and of course, music. Check out some of Manitoba’s up-and-coming musical acts, as well as out-of-town shows in the site’s artists village. If you’re in need of some cooling off after a high energy show, take the 5 minute drive to Winnipeg Beach for a quick dip. Journey through the Trappist Monastery Ruins for an exciting live theater production. With a track record of taking old classics and making them new again, Shakespeare in the Ruins is a unique cultural experience that draws audience members through non-traditional settings. Antony and Cleopatra is no exception. A story of occupation, Antony and Cleopatra is set on the pre-confederation plains of Manitoba during the fur trade. Have a few too many failed Pinterest projects under your belt? The DIY Homesteader Festival in Fraserwood offers a fun and welcoming way for individuals to learn the ins-and-outs of doing it yourself. Focused on sustainability, the festival brings individuals together with farmers, producers, artisans and crafters. Learn a variety of skills such as food preservation, clothing repair, soap making and forging at this hands-on boutique event. Hops? Growler? There’s only a few days left to study up on beer lingo! Treat yourself to the 11th annual Flatlander’s Beer Festival and have beer for breakfast, lunch and supper. Here, you will have the opportunity to sample unique and interesting beers from some of the finest breweries around the world and from right here in Manitoba. Cheers! The Manitoba Summer Fair is so much more than a midway. Get your heart thumping with the Brigade FMX Motorcross Extreme Sport Action Show or wander historical and art displays. Spend an evening in the Beer Gardens or sit back and gaze at a spectacular firework show. With 5 days of entertainment, there is truly something for everyone. Get up and close and personal with wildlife from around the world. Say hello to all the beautiful wild animals at Assiniboine Park Zoo. The Zoo has over 80 park-like acres for you to explore and interact with wildlife species from around the world.